Between January 11 and 15, Pardee RAND hosted sculptor Phillip Ratner as its artist in residence. 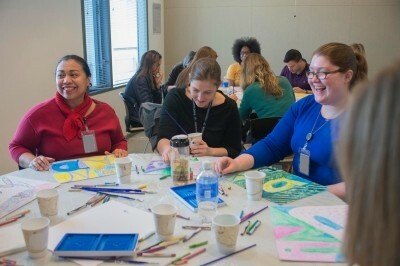 A joint effort with Emerging Policy Research and Methods, Ratner's time at RAND included a schedule of studio sessions and interactive art workshops for RAND staff and Pardee RAND students. The artist-in-residence project aimed to create environments and situations to encourage interactions between RAND staff, with the hope of producing new collaborations, discussions, and general interactions within and across disciplines. Dean Marquis noted, "This is an opportunity for RAND staff and Pardee RAND students to interact in ways they might not otherwise. 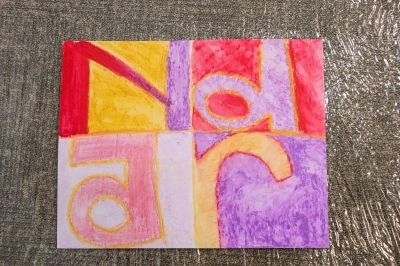 Creativity has been the foundation of art and of many research projects at RAND. I hope Phil's presence and the workshops will generate new ways of thinking here at RAND." 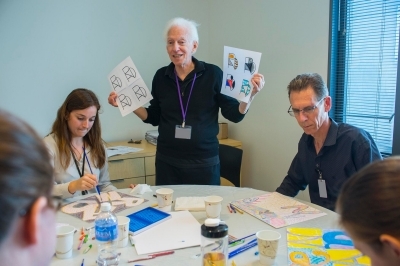 The workshops were very loosely structured, with Ratner providing three basic instructions and then telling participants to let their imaginations run wild. While attendees created their designs, Ratner surveyed the studio supplying stories about his work, family, and life experiences. Ratner's works are part of installations at Ellis Island, the Statue of Liberty, the Supreme Court of the United States, the Smithsonian, the United States Military Academy at West Point, the Vatican, and elsewhere. Ratner lives and works outside Washington, D.C.
Ratner is not the first artist in residence at RAND. In 1969, contemporary sculptor John Chamberlain became RAND's first artist in resident as part of the Los Angeles County Museum of Art's (LACMA's) groundbreaking Art and Technology Program (A & T). Experimental in every way, the five-year-long LACMA program paired technology companies in Southern California—Pan American World Airways, Bell Laboratories, Lockheed Aircraft Corporation, among many others—with artists to encourage dialogue between the fields of art, technology, and science. Organized by then–LACMA curator Maurice Tuchman, A & T involved artists such as R. B. Kitaj, Claes Oldenburg, Robert Rauschenberg, Richard Serra, and Andy Warhol, among others, many of whom went on to become icons in the world of contemporary art. While it would be difficult to qualify Chamberlain's time at RAND, his project—which asked RAND staff to answer a prompt of "questions" he posed—is still talked about and continues to be cited by art historians. In 1989, RAND partnered with software developer and art collector Peter Norton to display works from his collection in the Santa Monica office. The objects on view throughout the halls have served as a source of visual and intellectual stimulation for staff, students, visitors, and the community. Of John Valadez's monumental mural located on the first floor of the office, researcher Benjamin Karney said, "One of the things I like about it is the diversity, the color. . . . I like the subject matter because this is RAND, and we're supposed to be doing research that improves people's lives, . . . so it's nice every day as we come to work to pass a mural that represents people's lives in all their diversity." RAND research has touched upon the impact of the arts on society. Recently, researchers have embarked on examining arts education, the role of the arts in a civil society and as a source of economic growth, and the potential contribution of the arts to diplomacy.